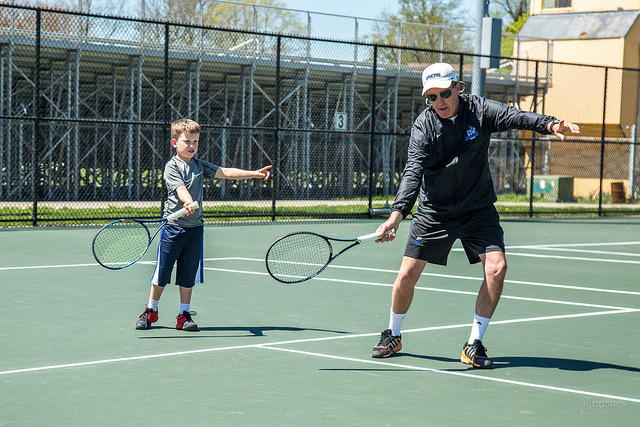 Offering fun, affordable tennis programs for all ages! Get moving and learn to play tennis with friends and family! It’s now easier and more fun for kids and teens to learn tennis. Our lesson focuses holistically on the development of an athlete, starting with the ABCs of any sport (Agility, Balance, and Coordination), mental conditioning, and also tactical aspect of the game through modern interactive and skill based approaches. 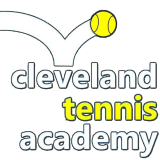 Our coaches are the finest in their field, with decades of experience providing the highest quality of tennis instruction in Northeast Ohio. Not only, we both are certified through USPTA and USPTR, we are deeply passionate in what we do! 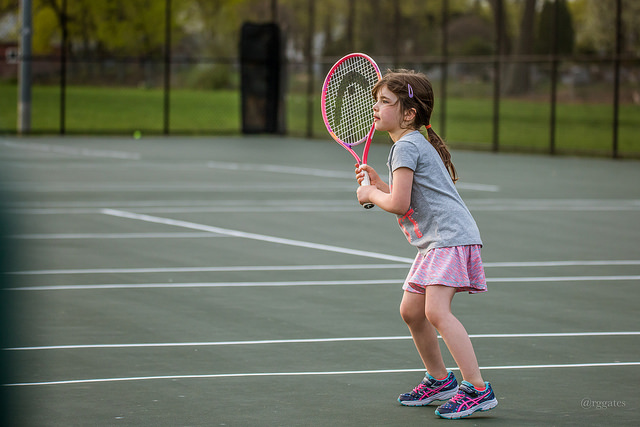 Non-contact, safe sport of tennis is great for kids in terms of health and fitness. It also develops hand-eye coordination, balance, and body coordination. It also instill independent decision-making skill at an early age. Our Little Stars Class is designed for children ages 5 to 8-year-old. Develops basic FUNdamentals, movement, coordination, and tennis fundamentals to improve technical and game skills. Training begins by learning to track the ball through theme-based movement exercises. By mirroring exercises stimulating muscle memory and awareness, learning basic strokes, forehand, backhand, volley, and serving techniques. The athlete will learn the rules of the game and inspired to participate in FUN activities. 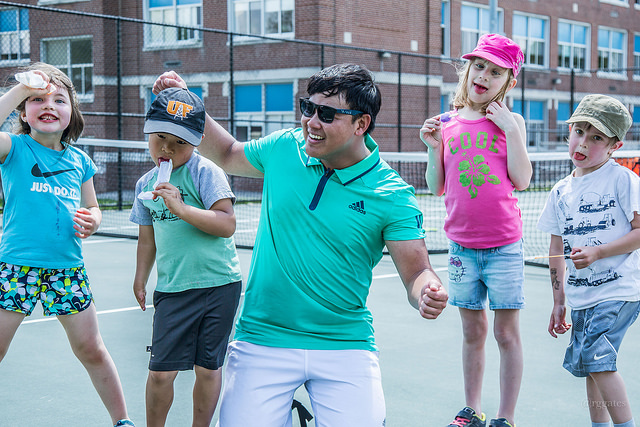 Our Rising Stars Class is designed for children ages 8 to 12-year-old, continues to develop tennis-specific athleticism and technical skills for more strategy-driven play. Designed to develop and effective strategies strategies in playing against an opponent, practice exercises focus on hitting from the back of the court with targeted strength and learning to move in, forward, the ability to close into the net to finish the point. The spirit and fun of competition are elevated through technical emphasis on how to move the opponent to build the point and defining distinct playing style. Our Future Stars Class is designed for children ages 12 to 14-year-old. This class builds a solid foundation in tennis stroke productions. Combines tennis technical development, intense physical activity, and a ton of fun into one action packed 60-minute class. Players enrolled in drills and games that will provide a great workout while inspiring them to learn and love tennis.